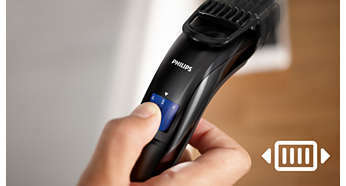 Philips Norelco Multigroom 7100 ReviewThe 8 in 1 from Philips 7100 incorporates a full-sized metal protection trimmer, beard brush, a body groom shaver, stubble brush, body trimming brush, nose trimmer and precision trimmer. This entry was posted in Philips on February 15, 2019 by Professional Beard Trimmer Reviewer. This entry was posted in Philips on February 10, 2019 by Professional Beard Trimmer Reviewer. This entry was posted in Philips on February 8, 2019 by Professional Beard Trimmer Reviewer. If you are someone who knows how important it is to be well-groomed you should also know that it is not easy. It gets difficult because you need to have a razor for a clean shave, a pair of scissors for trimming and not being able to maintain the overall length to be identical ends up to be a big issue. Youi do not want uneven facial hair. Also, men have to deal with unwanted nose and ear hair, in that case you have to purchase a separate nasal hair trimmer for that. If you can have that all-in-one kit that eases your grooming task and turns it from complicated to simple, you would love that. That is the experience you will have after getting the QG 3362/23 from Philips. • Lightweight: Since it is light, you will feel like a breeze while using it to trim your beard. Also, another plus point of this benefit is that you can take it during travel because it does not add much weight in the bag. • Waterproof: You can use this during shower. If you are not a fan of wet shaving, do not worry. When a device is waterproof, maintenance becomes a piece of cake. The heads are washable so you can clean them with water. • Battery indicator: You will know when the device is about to die and you can plug it back in. There is a light which acts as the indicator. The charge lasts for 50 minutes and it requires minimum amount of charge compared to its family QG3337/15 and QG3352/23 where both of them requires 10 hours of charging. • Emergency charging: It comes with the special feature of rapid charging which is missing in many expensive beard trimmers. That will let you use that in a cordless mode and the duration is enough for a single trimming session. • No oiling required: As mentioned above, maintenance of this device is low and upkeep is simple. It does not come with a bottle of oil because you do not have to oil the blades. It is something hard to find nowadays since most trimmer comes with appliance oil in the box and they require oiling. • It can stop working like brand new after usage of one or two years. • The users can press power switch by mistake and turn it off during a trim because the positioning is not perfect. • The device will start to make a lot of noise and vibrate as it gets old. You can have negative thoughts about it or become interested in buying it with your eyes closed. Do not go into each of those aspects until you have examined yourself. Some users have put in positive comments about it while others think differently. The individuals who does not like the product said it does not have a user-friendly interface and the attachments are tough to use. Those who liked it said it is because it requires low maintenance and comes with all the attachments men needs. This entry was posted in Philips on January 3, 2018 by Professional Beard Trimmer Reviewer. This Norelco beard trimmer appears somewhat different from the other members of the family. It is good-looking, silver and black in color and looks elegant and masculine at the same time. It is slime and sleek which makes it easy to grasp. The users love it not only because of its appearance but because of its features. It is for cordless use and you have to charge it for one hour. The usage time is longer than many other beard trimmer from this company and others. It is 90 minutes. The head is washable thus ensuring low maintenance. The tips and combs are rounded which makes it safe to use. The blades are self-sharpening and made from titanium which is another reason why you do not have to worry about its well-being. Philips products last a long time because they use high-quality materials. They have a reputation in the market for producing goods that work in a superb and outstanding manner. It comes with 20 various settings that starts from 0.5 mm to 10.0 m. You do not have to worry about extra attachments or accessories because they are all built-in. The box contains only the cord for charging, beard comb, cleaning brush and the device itself. If you are someone who does not like worrying about the different attachments and have the fear of losing them, you should get this device. Since there is nothing to keep, there are no storage box or travel pouch etc. The titanium is super strong and durable which is used to craft the device’s blades. They are self-sharpening hence there are no bottle of oil in the box. All you have to do is, use the brush to clean the blades and you should have a beard trimmer that is shining like new. After usage, you can clean the head with water. It is not necessary to do that after each usage. It is also suitable for sensitive skin. The comb and tips will not cause any irritation in the skin hence they are rounded. The battery is NiCad rechargeable and in the box, you will find a cord. It is so convenient that you can use it as a corded one as well by plugging it in the outlet. If you are not willing to use it as a corded one, you should keep it charged. There is an indicator which an important part of the beard trimmer. If you charge it for one hour, you can get full power for 90 minutes. You can purchase this since it is easy to use and the users love this device. You already know about Philips so it does not require any introduction about it. It has been manufacturing high-quality appliances for decades and their beard trimmers are no exception. Customers have always been interested in their products and since they first started to manufacture beard trimmers, people are going crazy over them. Not only this, people wants their other grooming equipment as well such as straighteners, shavers, etc. They are all durable and solid. Here is a review of Philips QT 4090. If you are someone who does not like a hairy sink and untidy floor, this can fulfill you wish. It comes with an excellent vacuum technology hat traps all the facial hair that you are cutting. You do not have to spend hours cleaning your sink or body. Therefore, when you are in a rush, you can use it to save time. Other trimmers do not have this quality and you cannot use them after being ready because you will get hairs all over your clothes. Not only will you be able to trim smoothly, you will get the perfect look. In fact, it has a Turbo power boost which will even save more time. If you are running late for work or you slept late last night and woke up with no time on hand, this button can save you. The velocity will increase along with the capturing of hair. You will be able to easily maneuver your face because the comb is flexible. If you have thick beard or stubborn facial hair, do not stress because the QT 4090 is designed to take care of all that. The comb allows the users to style their beard and give professional touches. The comb lets you style your beard in a way that people will get a positive impression the first time they see you. The Philips device has such a design that makes it easy to use in a sufficient manner. It is easy to hold because of the grip. There is no risk of dropping it because of the material it is made of lets you grasp it easily. The manufacturers made sure that the user can hold it perfectly in their hands and do not have to be scared about dropping it. There are 32 sets of lengths for trimming which starts from 0.5 millimeter to 18 millimeters. Pick one that suits you and lock it. You do not have to worry about anything else because the device will guarantee a nice trimming experience. The stubble comb will help you trim at different angles and get fine outlines. You can get the stubble look using this. The blades do not require any taking care of because they do not need oiling. 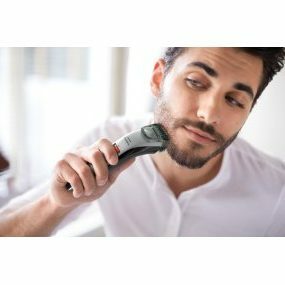 The company wants to make sure that you save as much as time possible without having to take care of your beard trimmer. Therefore, they used technology to make sure that the blades stay sharp without any oiling or other maintenance. 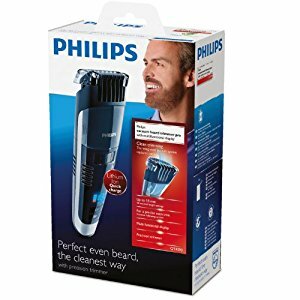 If you are looking for a simple and high performance beard trimmer, you should choose this one from Philips. This model has no extra features like other products from Philips such as the Turbo boost button, integrated vacuum mechanism or being waterproof. It has a lot of advantages for its users which we will discuss below. • Built-In Length Settings: There is no need to have extra attachments so there is no hassle. There are 10 settings for the user to select to get the desired length, from 1/32-inch (1.0mm) stubble to a 13/64-inch (10.0 mm) beard. 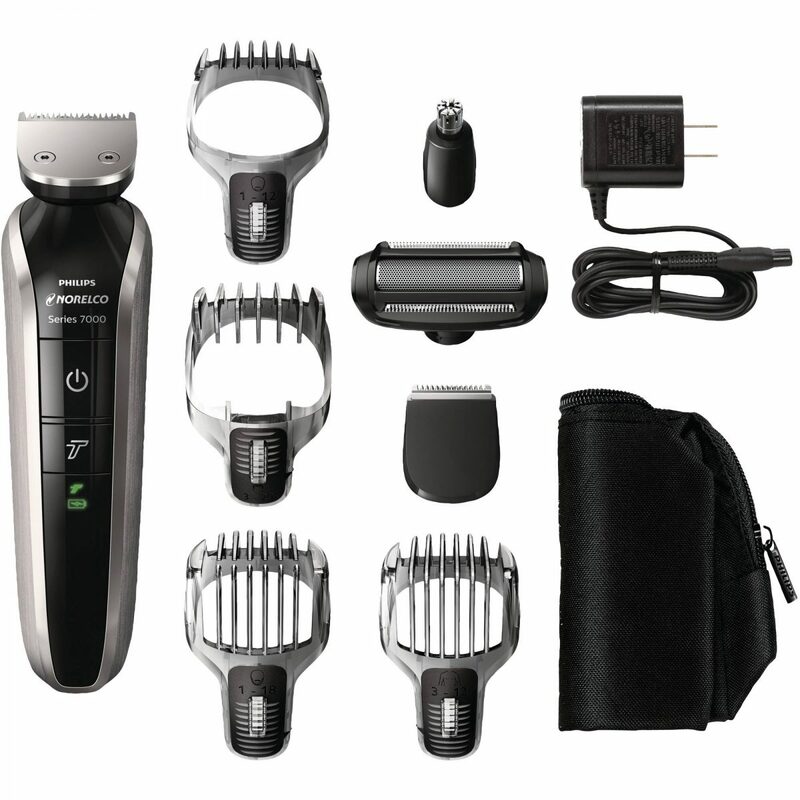 The device accompanies a locking feature that stops comb movement for precise cutting. • High Performance: The device’s blades are crafted from fine chromium steel; the hard-wearing blades are self-sharpening for enduring quality and there is no need to oil them. • Skin-Friendly: Rounded tips and comb are so soft that they stop skin irritation and the blades does not require any maintenance. Users with sensitive skin should opt for Philips products because they are soft, skin-friendly and does not cause any redness or pain. They are gentle. • Rechargeable Battery: It will work for 45 minutes with a lot of power if the user plugs it in for continuous 10 hours. Now that you know about its features and what you will get in the box, let us look at it in details. The advantage could be that you can speed up your trimming session because the device works fast. You do not have to go for the same place more than once. The blades are going to be safe for the skin so you do not have to worry. All you have to do is move the dial, there is no need to manually put in or remove attachments. If you are looking at the disadvantage, one of them could be that it is not waterproof. While it says that no maintenance is required, you do have to wash the heads by opening it completely from the tool. You have to make sure that it is fully dry before attaching it back again. The other problem could be that the battery does not last for a long time. It is also not strong or durable, therefore you can break it easily. You should know that if it runs out of power, plugging it in will not make it work. It must be fully charged before application. It also can make a mess because there is nothing to catch the stray hairs. 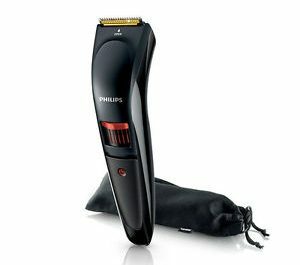 If you are India, and ask people around for the best beard trimmer, they will say the name “Philips 4011”. Philips is famous worldwide for creating smart and innovative products and this one is no different. 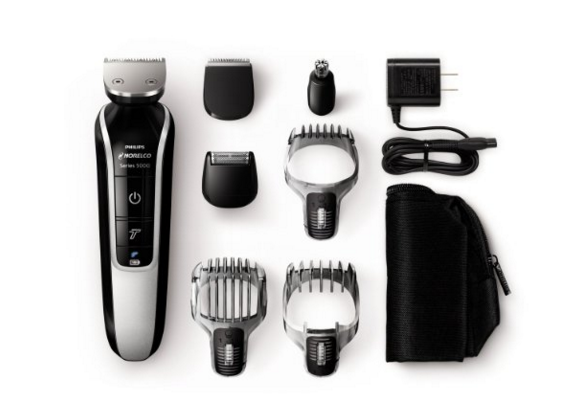 The Philips QT4011 Trimmer is the favorite device of many men. 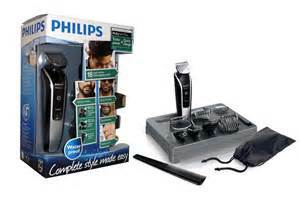 It is no big surprise it is the top of the line Philips trimmer on the web. 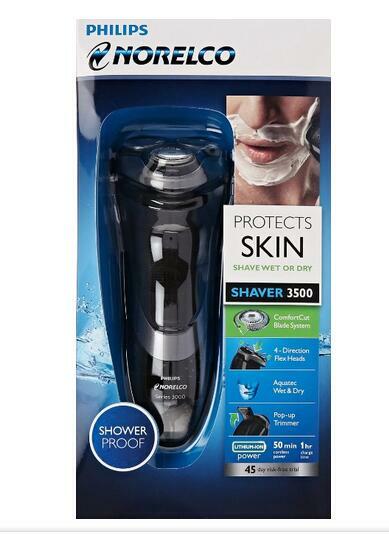 It is known as Pro Skin Advanced Trimmer. 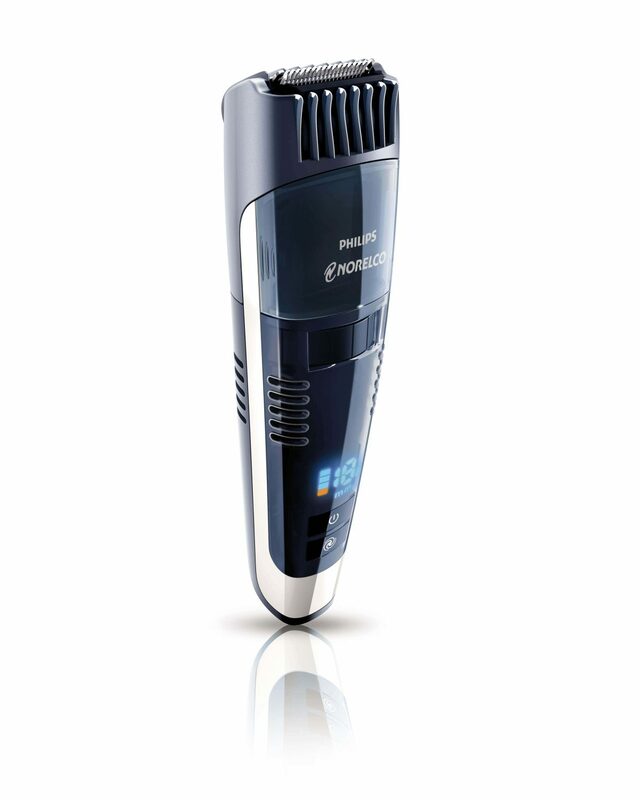 It is additionally one of the best trimmer for men in India who are speculation to purchase a beard trimmer. The vast majority in India still utilize a conventional shaver to shave and the pattern to keep up a stubble and beard is a new thing to them. This device is going to help you get any style of beard that you want. You can either get a thick stubble or a full beard or just a shadow. It is both corded and cordless. You can use it anyway you like. There is a LED light which is the charging indicator. The blades are made from stainless steel and coated with titanium. The trimming range is from 0.5 mm to 10 mm. There are 20 different settings. If you charge it for an hour, you can use it for months. You can take it to anywhere because it works on a worldwide voltage. It comes with a two-year warranty. That is the advantage of buying a Philips product that is you can use it anywhere on a global scale and not just in India. You also get a warranty of two years. It is made with plastic and comes with an easy to hold handle. The structure is curved from the center to that you can grasp it painlessly and align the trimming blade along the face. It comes in two colors: red and black. The red /orange attachment above the beard trimmer is its trimming comb. It aids the user in purposes during trimming. It supports by keeping your hair straight in one direction so you can trim it effortlessly. It also maintains the thickness/ length of the stubble with the height alteration. This entry was posted in Philips on January 2, 2018 by Professional Beard Trimmer Reviewer. • Stubble comb which delivers you 12 length settings from one millimeter (1 mm) to twelve-millimeter (12 mm) with one millimeter gap among each setting. • Hair comb guide is the attachment which is an extra-added bonus that aids by creating new hairdos or keep the present one in its proper form. It delivers eighteen length settings from three millimeters (3 mm) to twenty-millimeter (22 mm) lengths. There is exactly one millimeter among each setting. This device is utilized to trim the men’s facial hair to specific lengths. By and large, beard trimmers include various length settings that empower you to develop your beard out to longer or shorter stubbles. The settings can extend from tenth of an inch to one-half inch, contingent upon the trimmer. It works by utilizing many arrangements of sharp metal blades. Ordinarily, the trimmer sharp blade is loaded above each other with every blade presence around one inch wide. After you turn the beard trimmer on it makes the blade to move and to cover intermittently. When you put it over your face, the moving blades will trim any of the whiskers that they trace. To keep the sharp edges from coming in contact to your skin straightforwardly there is generally a defender that is plastic that will cover the blade end. This guard is controlled by a switch or wheel on the beard trimmer. It is found in the side of the beard trimmer. You can use the safeguard to position the distance from the skin and that of the hair that you are going to trim. The protector will permit the device to be utilized to retain or make distinctive styles of facial hair. At the point when the safeguard is set to the uttermost space from the cutting edges it can be utilized to keep up your long, full beard. This is complete by expelling just the hairs that are messy or long. While you set it to be the closest, the blades can result in a stubble look or five o’clock shadow. The blades are made from stainless steel and the case is from plastic. Maintenance is simple, you can use the cleaning brush to keep your device clean. 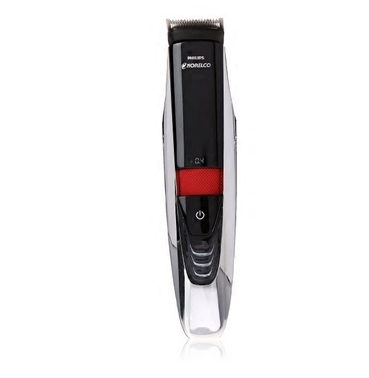 It is durable, powerful and the right choice if you are in need of a proper beard trimmer.